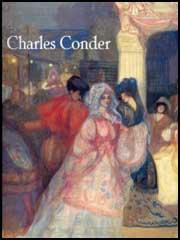 Charles Conder, the son of James Conder, was born in London on 24th October, 1868. His father, a civil engineer, took his family to India. However, when his mother died in 1873, Charles returned to England, where he went to school in Eastbourne. At fifteen he was sent to Sydney, New South Wales, where he joined the colonial civil service as a potential land surveyor. His main ambition was to become an artist and he attended evening life drawing classes. It has been claimed that during this period he caught syphilis off his landlady. He exhibited at the Victorian Artists Society and in 1890 an uncle offered to pay for his art education. Conder moved to Paris where he studied at the Académie Julian. 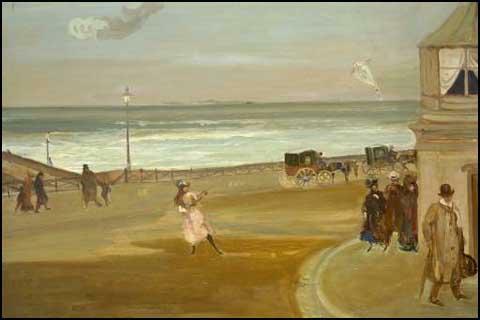 In March 1891 Conder and William Rothenstein exhibited together. According to his biographer, Mary Lago: "Their work was reproduced in L'Art français. In March 1896, at the Paris gallery of Siegfried Bing, noted for the influence of his Japanese collections, Conder exhibited panels on silk for the boudoir and a few designs for fans, which inaugurated his most original contributions to art. His first fan design was in oils on a wooden panel, executed about 1895. Elected an associate member of the Société Nationale des Beaux Arts in 1893, he quickly won a reputation for the originality and charm of the work which he exhibited at the society's salon." Rothenstein introduced Conder to Augustus John and William Orpen and the four artists spent time at Étretat. John later recalled: "Conder was a charming personality. He spoke in an exhausted and muffled voice, which made it difficult sometimes to follow him with intelligence. A lock of brown hair always hung over one malicious blue eye. Though his ordinary gait could be described with some accuracy as a shuffle, given a sufficient incentive he was capable of great speed and endurance." In 1899 Conder moved to London and joined the New English Art Club. A group of artists that included Henry Tonks, Frederick Brown, Philip Wilson Steer, George Clausen, John Singer Sargent, Colin Gill, Walter Sickert and James Whistler. He also contributed to The Yellow Book, a quarterly that had been established by John Lane. Augustus John became a close friend of Conder. In his autobiography, Chiaroscuro (1954): "His elegant figures, posturing in a moon-blue ambience, had recaptured from Watteau or St. Aubin a romantic languor which owed nothing to the rusticity of his surroundings, nor recalled in any way his upbringing on an Australian sheep range.... I prefer, myself, his seaside pictures painted at Dieppe, Swanage or Brighton. Some of these, in my opinion, are better than anything of the kind by Whistler or anyone else." Suffering from the later stages of syphilis, Conder was admitted to Holloway Sanatorium in 1908. 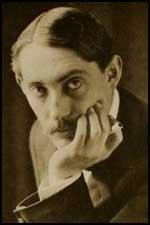 He died of "general paresis of the insane", on 9th February, 1909, and was buried in the cemetery in Virginia Water. 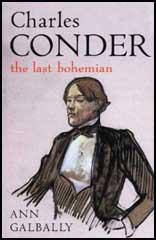 Conder was not the robust and formidable figure of a man Will Rothenstein had led me to expect. Having once had occasion to knock him down, Will, physically small, may have unconsciously exaggerated the exploit. But though out of training (he admitted to being "gone at the knees"), Conder was a charming personality. He spoke in an exhausted and muffled voice, which made it difficult sometimes to follow him with intelligence. A lock of brown hair always hung over one malicious blue eye. Though his ordinary gait could be described with some accuracy as a shuffle, given a sufficient incentive he was capable of great speed and endurance. On our evening walks to Vaucotte, a neighbouring seaside resort, Conder would outpace us all, and on arriving at the little Casino, we would find him already half-way through his second "whisky-soda". Seated in the village cafe with a bottle of Pernod at his elbow, used both for its refreshing properties and as a medium for his brush, he painted fans, filling the silken fabric before him with compositions illustrative of the Commedia dell' Arte or Verlaine's Fetes Galantes. His elegant figures, posturing in a moon-blue ambience, had recaptured from Watteau or St. Aubin a romantic languor which owed nothing to the rusticity of his surroundings, nor recalled in any way his upbringing on an Australian sheep range. Turning to Balzac, he would trace with his weak but sympathetic pencil luxurious scenes from the Comedie Humaine. I prefer, myself, his seaside pictures painted at Dieppe, Swanage or Brighton. Some of these, in my opinion, are better than anything of the kind by Whistler or anyone else. After the day's activities, which for me at least always included a swim in the sea, the evenings were spent in the village cafe where all assembled to give thanks to the gods in a glass or two of Calvados before going to bed. Under this discipline we ripened steadily. Will Rothenstein had the start on us others, however, and with his habitual austerity showed himself superior to the allurements of the local product mentioned: but Orpen and I, not to speak of the ladies, felt impelled, as novitiates, to impregnate ourselves with the quickening properties of this liquor which seemed to wed us to the soil of which it was the quintessence, and, as we calculated, would, by a kind of magic, induce on the morrow, a corresponding fertility. Conder, already initiated, preferred to draw upon his imagination and a bottle of Pernod.